Dealing with anxiety is terrible. Then being anxious about the effects of your anxiety during your pregnancy can make it so much worse! It’s actually a pretty common experience though. In those first few months so many soon to be moms worry about miscarriages, pain during labor and welcoming your new little member into the family. If this is your first pregnancy, you can be especially worried, particularly because you haven’t experienced pregnancy before and every little ache or pain seems foreign, which to a newly pregnant woman can be a worry that something is wrong with the pregnancy. By the way, it’s perfectly normal to experience things like round ligament pain and uterine stretching pains. Although, don’t start worrying if you’re NOT experiencing these things either! It does NOT mean something is wrong with you or your baby. Keep positive pregnancy affirmations everywhere! While some individuals need medication during pregnancy to alleviate anxiety, it is not a good idea to take medications during pregnancy that you do not absolutely need. Rather than taking addictive benzodiazepines or selective serotonin reuptake inhibitors (SSRIs) (unless otherwise prescribed by your doctor) you can practice healthy, non-addictive, and natural means of reducing anxiety so that you can feel better during your pregnancy and won’t influence the health of your baby because of uncontrolled anxiety while pregnant. You can do a great deal for yourself and your baby by relieving your anxiety using natural alternatives. Here are a few ways you can naturally begin to cope with your pregnancy worries and have a happier and healthier pregnancy. Yoga is a fantastic anxiety reducer. It’s all natural, will help you relieve aches and pain and it greatly reduces stress. Several great poses are appropriate for each trimester of pregnancy and there are prenatal yoga classes that allow you to perform poses safely under the supervision of a qualified instructor. Mediation brings calmness to the mind and allows you to detach yourself from your anxious thoughts. With practice, meditation helps to train your mind to find peace and calm, even during stressful situations. This is a wonderful tool to have in your anxiety tool box. Check out the video below to see how practical meditation can actually be for anyone. Your body is hard at work growing an entire other human being. Getting enough sleep is extremely important to both you and your babies healthy. Getting 7-9 hours of sleep per night can help your body repair, and your brain rest enough to decrease your stress and anxiety and help you wake up feeling refreshed and relaxed enough to begin your day on a better and more positive note. If you exercise regularly for at least 30 minutes a day, you will gain more energy and will feel less anxious naturally. Things like yoga, swimming and walking can help reduce anxious feelings and give you a feel-good endorphin boost that’s good for you and your baby. Plus it helps make labor and birth a whole lot easier! The more you learn about pregnancy, the changes in your body and how you can have a healthy lifestyle while pregnant, the better you’ll feel. Get a good pregnancy book that will help you understand the changes going on and what to expect. The more you know about what is normal, the less you will worry when these ‘normal’ things happen. Of course, you should ask your doctor lots of questions too. I also recommend a good prenatal class. It will help reduce your fear of birth as well! Having a pregnant friend while your pregnant is awesome! 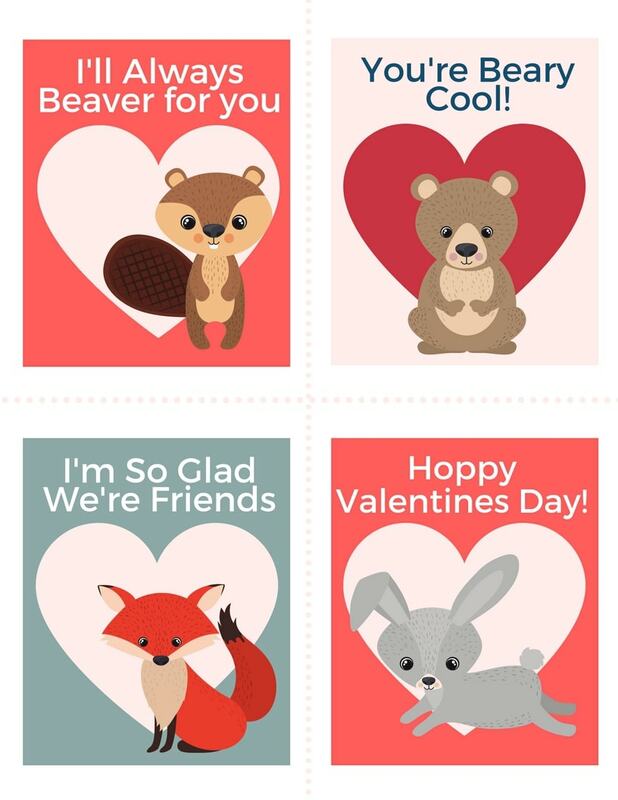 If you don’t already know a pregnant mama, you can meet a new friend by going to pregnancy classes and meeting others who are about as far along as you are. If this isn’t possible, try finding women who have had successful pregnancies and deliveries in the past. They can help you understand what to expect and what things are normal. Plus it’s really nice to have someone that can relate to the emotional changes you experience as a soon to be mom, as well as the crazy changes your body is going through. Spend some time thinking about the things you appreciate about pregnancy. Try to focus on staying in the moment, and focusing on what is going well. Those that stay positive and avoid negative thoughts or feelings tend to have an easier pregnancy and experience less anxiety. Studies have shown that a gratitude journal can work wonders on your mindset. Get a simple notebook and jot down 3 or 4 things you are grateful for during your pregnancy before bed. This will help reset your thinking, and you’ll find yourself with more positive thoughts throughout the day. For this to work you can print out motivational quotes and post them in areas you frequent. The fridge, taped to your bathroom mirror, or even on your visor in your care. Somewhere that you will see them every day. If you want to get fancy you can print out a set and hang them up with a photo clip set like this, and hang as decor in your home. When you eat a nourishing diet, you alleviate some of the anxiety by actively knowing you are doing something to help grow a healthy baby. Just knowing you are doing the right thing by taking your prenatal vitamin and are eating a healthy diet can empower you to feel less anxious about the pregnancy itself. Plus getting enough nutrients helps you body deal better with stress. If you are deficient in certain nutrients, like magnesium, it can make you very anxious. Make sure you are taking a great prenatal vitamin and maybe even try some natural calm. It’s a safe (and tasty) magnesium powder you make into a drink that helps calm your nerves and will help keep you having regular bowel movements. Both are big wins during pregnancy. As I mentioned previously, nutrient deficiencies can cause excess anxiety. Most Americans are deficient in magnesium, which can cause anxiety itself. Magnesium acts as a “calm switch” for your nerves. Without enough magnesium, your body literally cannot flip the switch, and you end up in a constant state of anxiety. Also, chamomile tea is an herb that considered safe during pregnancy. I drank a cup nightly while pregnant (and still do even postpregnancy) to help calm the nerves. I can literally feel tension ease from my shoulders while I finish up my cup. I love this brand, as they are all organic and taste great! You also need a good Omega 3 vitamin. Other than being an essential nutrient for babies eye and brain development, it can help greatly reduce the chance of depression and anxiety. You need an Omega 3 supplement that contains both EPA and DHA. You can read more about the science of all of it here. I like Nordic Naturals, these ones are specifically designed for the pregnant mama, ensuring that they use fish with lower risk of mercury contamination. If you think you need extra help with your anxiety during pregnancy, it may be time to consider seeing a therapist. Try finding a therapist who practices cognitive behavioral therapy. In this type of therapy, the focus is on reframing anxious and negative thoughts so you can see these thoughts and feelings in a more positive light. You will learn coping skills so you can better enjoy your pregnancy. Sometimes pregnancy can be plagued with terrible nausea and morning sickness that lasts all day. This can be so stressful that it seems like experiencing anxiety is the norm. Try to remember that this is temporary, and even normal, even though it is more severe in some women than others. It helps to keep reminding yourself that this will pass, and it’s not forever. 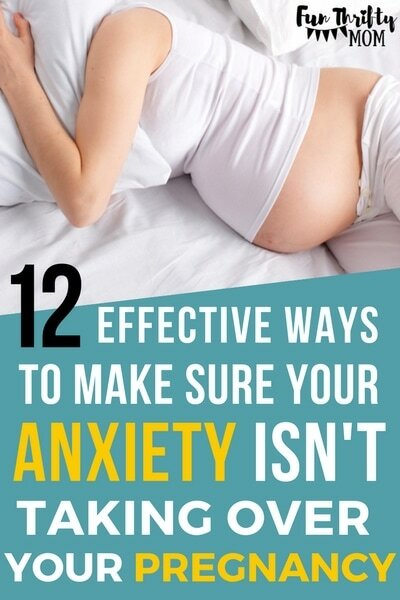 Make every effort not to struggle needlessly with anxiety during your pregnancy. Use these tips as natural ways to decrease your anxiety and seek professional help if you feel you can’t cope with it on your own. Ideally, pregnancy should be a happy time, and anxiety just gets in the way.